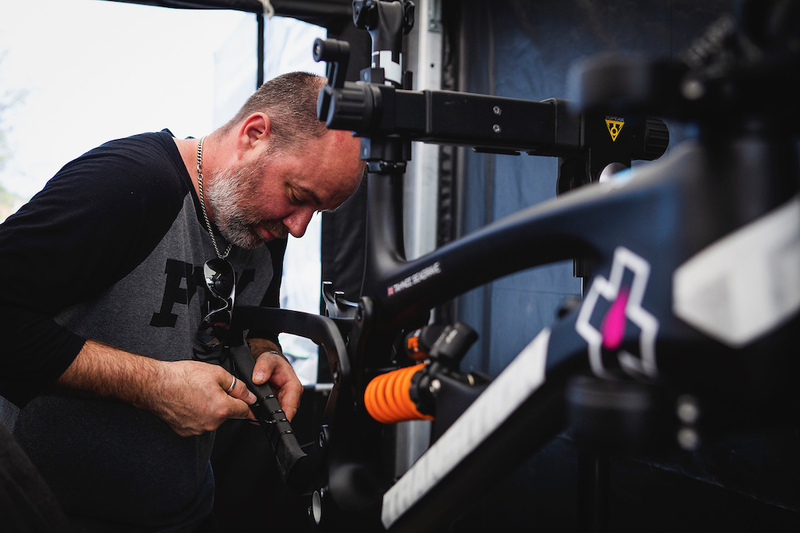 This week on the podcast, we talk to Tony Seagrave, father to Tahnée and Kaos, head of FMD Racing, and half of MarshGuard, to find out what being the father of two of the fastest and most stylish riders on the circuit is really like. We discuss Tony's background growing up riding BMX in London, his decision to move the family to Morzine, how the kids got into racing, the challenges of running a team, and much more. Hit play and give it a listen. Mr. Seagrave begins at 5:22 into the podcast. Sry - I'm short on time - need to leave work soon. My other half overheard me listening to this, and she just walked into the room and said "we're going to name one of our son's Kaos" and walked right back out. Color me confused, pleased, and full of questions. Great episode, always wondered how these guys (and other small teams) managed for cash etc, i really dont think many truly i=understand that moolar needed to travel the world in this way and compete, as well as live life day ti day, in fact i reckon its even harder than stated in the video, great passion and commitment to keep it all going. thanks @makdthed, it's certainly not easier for the smaller teams! thanks @krystianj, glad you're still enjoying listening. The only one, except for the other ones. Thanks @freeridejerk888, I'm glad you enjoyed listening. @freeridejerk888: It could be argued that YT is now led by a female junior. That must have been some fun times @lacuna, wish I'd have had the chance back then!